C2CX is a Chinese cryptocurrency exchange launched in 2016 that is registered in Luxembourg. 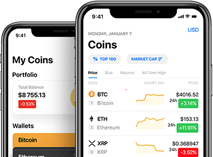 It offers crypto-to-crypto spot trading in some of the most popular coins. Like more exchanges, C2CX utilizes Google two-factor authentication (2FA), but unverified users can also trade on the exchange.